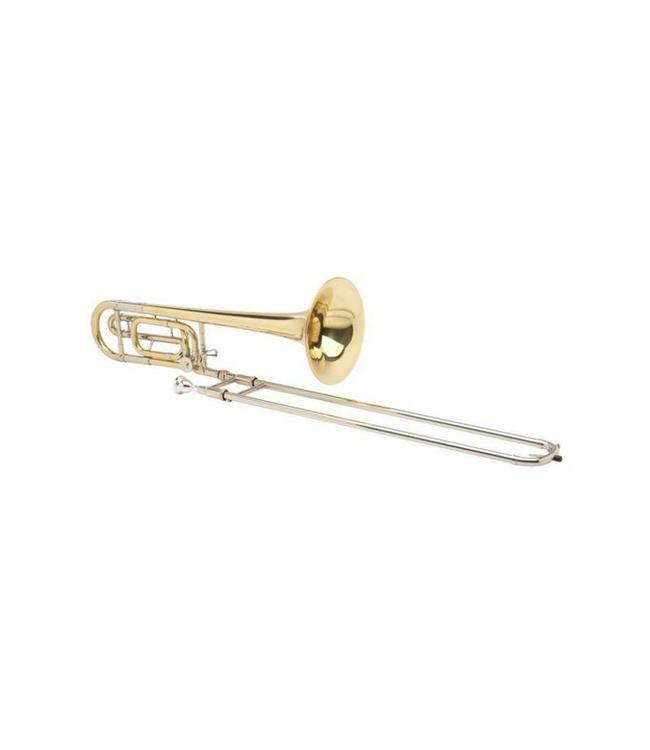 The King 607F tenor is great crossover F attachment trombone. Combining a .525" medium-large bore and 8" yellow brass bell, the 607F has a wonderful tone with excellent projection. The traditional wrap F section promotes clean attacks and stability. The F thumb lever is located behind and to the side of the main brace allowing the weight of the trombone to be cradled between the thumb and first finger making for a very balanced and comfortable instrument. The chrome plated nickel silver inner handslide tubes provide the ideal surface for smooth and quick handslide action. The clear lacquer finish provides a subtle warmth to the overall sound. The 607F is a well designed, durable instrument perfect for students and amateur musicians and is well suited for all types of music.